To be honest, I’ve had better built cars than the ML, and mine was rusting and liked to throw the occasional “check engine” light for sport. But on the road I found that not only did I kind-of like sitting up high in the traffic, but the thing felt like it was glued to the street. Once I realized that I could still face myself in the mirror AND drive an SUV I decided to get one that would work for me as an everyday car, hence the Highlander. Although the Highlander really does feel like a car pretending to be a truck, where the ML felt like a truck that could pass as smaller truck. But none of that is what the ML55 AMG is about, is it? Here we have a wonderfully competent vehicle, rust free thanks to living in the sunbelt, that has AMG’s pounding 342hp M113 V8 that can hurtle it to 60mph in about 6 seconds and on to a top speed of 150. And it can handle, too. The ML55 has a stiffer suspension than the run-of-the-mill MLs, combined with bigger anti-roll bars and wide AMG alloy wheels. For a truck, the stock 50-series tires are remarkably low-profile – especially if you have any intention of using it off-road – but they deliver feel that would put many contemporary sports sedans to shame. The speed-sensitive rack-and-pinion steering also delivers feel, but can get a little fidgety on center. Brakes are upgraded from lesser MLs as well which is welcome given the friction needed to slow 2.5 tons of steel from 150mph to zilch. This thing is oodles of fun on any surface, yet does have the obligatory traction control should you overcook it – which is no easy task. As a car guy, I never thought I would give a hoot about SUVs. But I have to admit that I think they do serve a purpose beyond simply announcing to the world how small or non-extant your privates are. 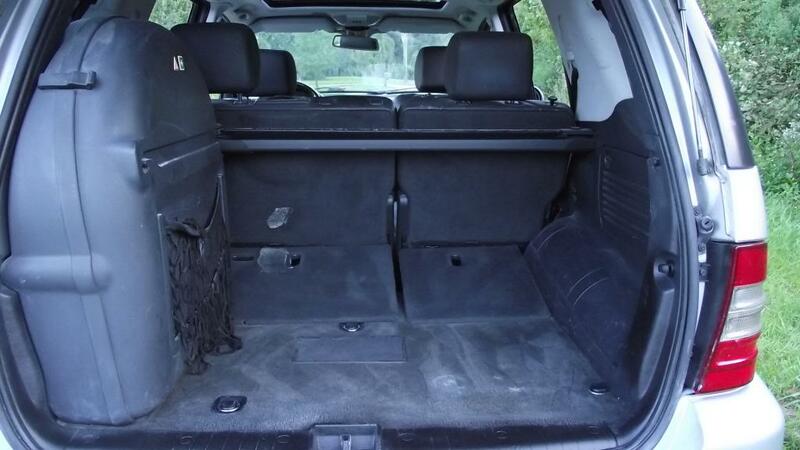 I also think that an SUV can be a blast for people who enjoy driving, too. That is if, like this car, they can offer some punch you can play with while still doing those things that we really want our big cars to do like keep us cool in summer, keep our buns warm, cater to just about every whim at the touch of a button, and even tell us where to go. That last one, however, is a bit of a challenge here. With the old version Mercedes Nav, you’re better-off having an iPhone or a TomTom to get you where you need to go. The stereo sounds okay, though. 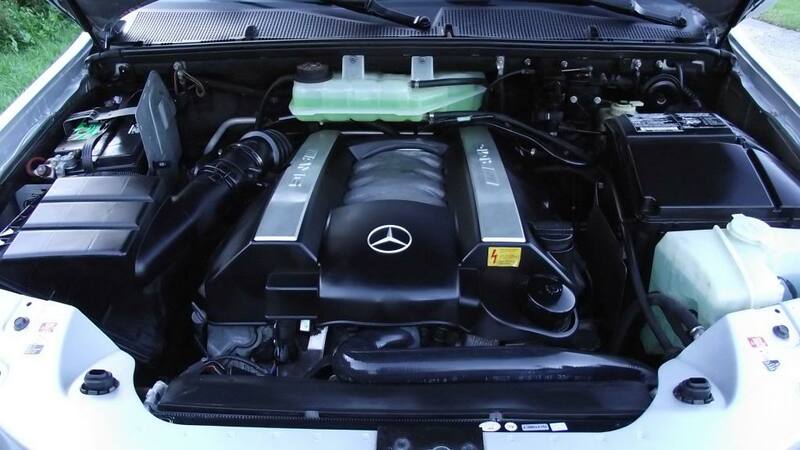 This car’s 185,000 miles should not frighten anyone who knows anything about the AMG M113 motor. They are nearly bulletproof if – as with most modern Mercs – they have had their oil service and regular maintenance on a regular basis. 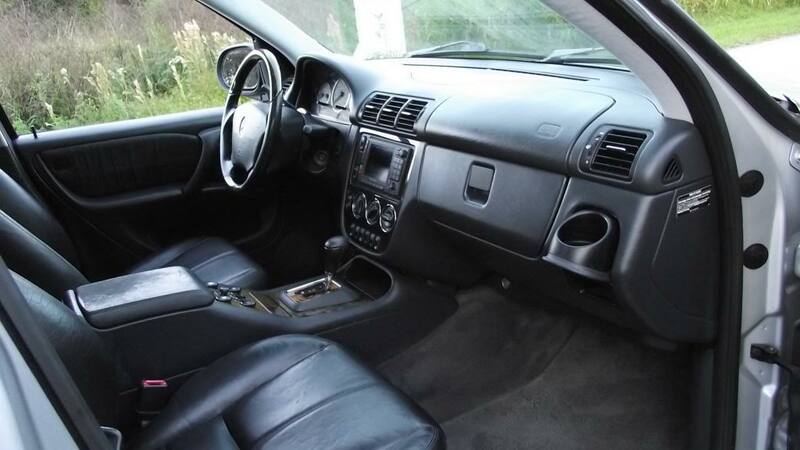 Beyond that, both interior and exterior condition would suggest much lower miles, as would the fact that the owner reports that “everything” seems to work, with the exception of the trip computer – but chances are you really don’t want to know the mileage this thing is giving you, do you? 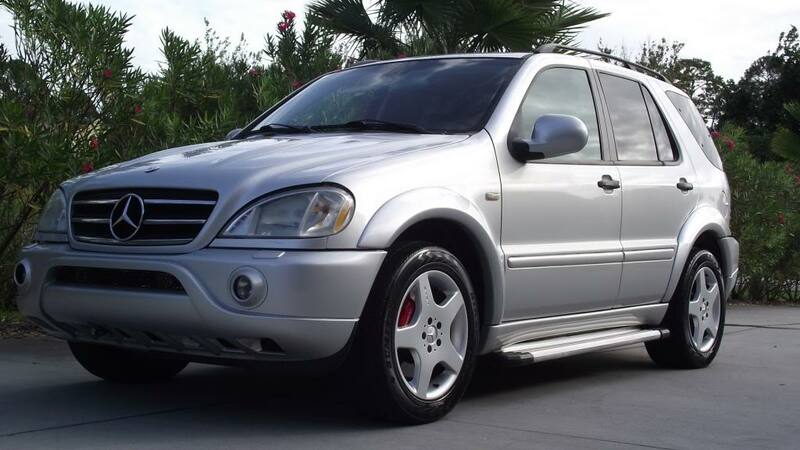 In sum, the ML55 is another testament to our assertion that people who enjoy driving can have fun in just about anything. In this case you can have fun just about anywhere, too. 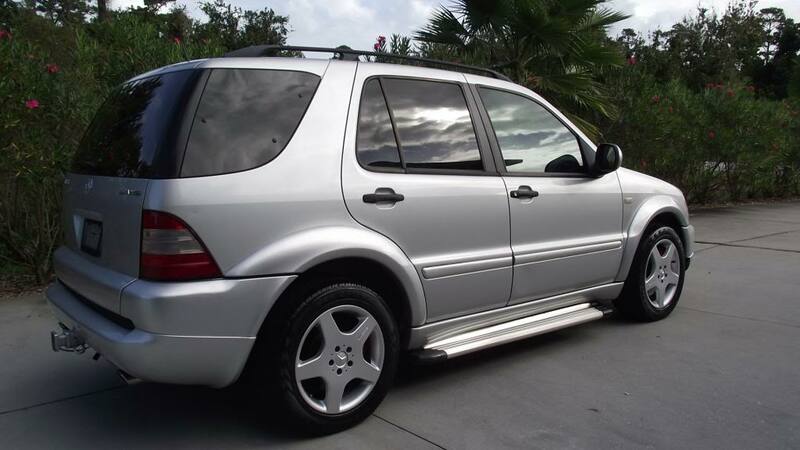 This entry was posted on Tuesday, February 18th, 2014 at 10:53 AM	and tagged with Alabama, AMG, BMW X5, Fast SUV, Ford Explorer, German Cars, Jeep Grand Cherokee, Land Rover Discovery, M113, MBUSA, Mercedes-Benz, ML320, ML55, V8 and posted in Totally That Stupid. You can follow any responses to this entry through the RSS 2.0 feed. How do you know I wasn’t….?? Heh. I kinda miss my 850. Until I think about it. I’ve never liked these very much, but for some reason I want this one real bad. I sent this to my wife, with the idea of swapping this out for her ’12 Volvo S60 that I’m tired of making car payments on. She’s not convinced. Maybe my Silverado crew cab needs to go instead. Did you see that hitch on the back? Imagine the possibilities……! Oh, I saw that. The possibilities have been fully imagined. Come on, man! Doing stupid car things is the whole POINT of this blog!! Not necessarily selling the wife’s Volvo stupid, but definitely flushing the ‘Burban stupid..!